Yes. The mold is of the word “something.” You can use it for cakes, chocolate, breads, jello, ice, soap, and whatever else you can imagine. So if you like puns as much as I do, go pledge now! You can get the mold, a book of recipes/ideas, and more goodies for $38. 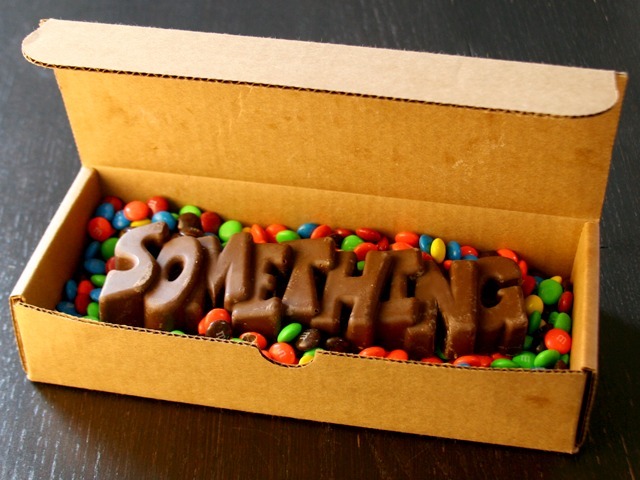 What “something” would you make with your mold? Happy "Hug a Geek" Day!